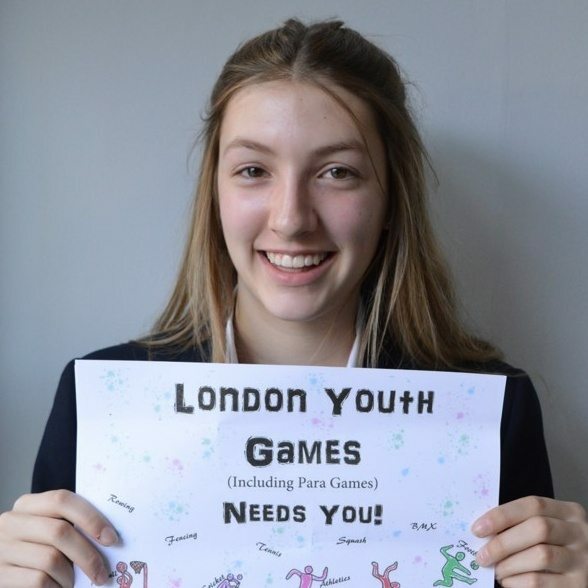 NBH Senior Hampstead student, sports enthusiast and budding designer, Darcy is promoting the London Borough of Haringey in this year’s London Youth Games. Having impressed with the opportunity to design a T-Shirt for participants in the largest youth sports festival in Europe, Year 9 Darcy was then asked to create a poster to be displayed in schools and sports clubs throughout the Haringey borough. With limited time and a brief specification, Darcy’s love of sport saw her design a t-shirt that the Sports Development Trust loved, printing hundreds for participants in the series of competitive events which take place over a nine month period across 30 different sports. Proud of her creative efforts, Darcy brought in her printed t-shirts and posters to show classmates and teachers, who couldn’t wait to try on the t-shirts! Well done to Darcy for seizing the opportunity to showcase her talent and support the London Youth Games and her local community.